1. What type of insurance are you interested in? Ownership protection is often insurance that is forgotten or not valued. Ownership protection can come in a few forms as your business ownership requires protection from a variety of circumstances. Shareholder and partnership protection cover gives business owners the funds to buy out another owner if they die and with some policies if they are seriously ill to prevent a share of the business being sold. The other form of ownership protection is management liability which can cover directors, officers and senior managers who can be held responsible for their actions. These policies cover the cost of defence and settlements. Below we have taken a look at what a variety of insurers offer to protect owners. Disclaimer: SmallBusinessPrices.co.uk is a general business information website only and is not regulated by the FCA. We can’t recommend any company and/or product, nor assess your suitability for any product and/or company listed here. We are not a lender, advisor, broker, bank or insurer and can’t make any financial recommendations. Companies are ranked in no particular order and this in no way indicates one is better than another. We may choose to work with companies that are authorised and regulated with the FCA who may offer a variety of financial services. If so, they may pay us a fee, but there is no obligation or requirement on your part to use them to access this website. These fees allow us to run and maintain this website at no cost to you. The table below gives a quick comparison of the top UK providers for ownership protection. Note companies are ranked in no particular order and this no way indicates one solution is better than another. Moreover, SmallBusinessPrices.co.uk is not regulated by the FCA and so we can’t recommend any particular product/company as being better than any other. Some of the features and benefits of Aviva’s ownership protection. Aviva provides Business Life Insurance Options that can be used to cover a variety of business risk and help businesses to overcome major stumbling blocks. Through this policy, you can cover key people, shareholders, partnership or business loan protection. Aviva’s shareholder or partnership protection policies protect the remaining business owner/s if something happens to another owner. They cover public and private limited companies, limited liability partnerships and individual partners of a partnership. You can choose the level of cover and the length of the term to suit your business and add on a variety of optional extras. Some of the features and benefits of AIG’s ownership protection. AIG offers a broad range of ownership protection products which includes share purchase protection, partnership protection, key person protection and loan protection. Their share purchase and partnership protection products provide security and protection from losing the business as a result of one of the shareholders or partners dying or becoming critically ill.
AIG’s share purchase and partnership protection policies enable the surviving partner/s or shareholders to purchase the share of the business that belongs to the person that has died or critically ill (if selected). This allows the business to continue and for the owners to retain ownership of the business. Some of the features and benefits of RSA’s ownership protection. 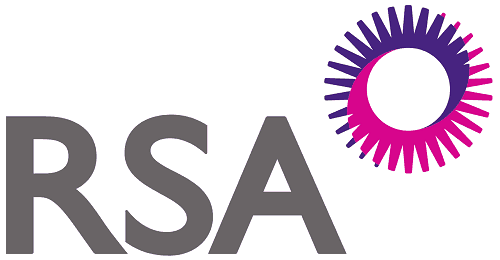 RSA provides ownership protection insurance in the form of management protection which is designed to protect the owners of the business or their senior management including directors, trustees and other insured persons. This provides cover for personal liability for wrongful acts and will provide legal representation costs and any investigations that required. RSA’s management protection can be purchased either as an aggregate or any one claim basis to cover the businesses past, present and future directors and officers. They also offer an extension to their cover which can include fines, penalties, compensation, pollution defence costs, PR consultancy costs and employment practices liability. Some of the features and benefits of Allianz’s ownership protection. Allianz provides ownership protection cover in the form of a directors and officers policy which gives businesses management liability cover that offers personal liability cover for directors, officers and managers. The policy provides cover against any claims that arise from the decisions and actions taken by the business’ management personnel. Allianz’s directors and officers cover are available to UK based businesses with a turnover of up to £200 million. The policy covers the reimbursement of any third-party compensation costs as well as reputational and post reputational costs, employee theft and company entity liability. They also offer an employment practices helpline and a variety of optional extras. Some of the features and benefits of QBE’s ownership protection. QBE provides ownership protection cover that protects directors and officers against liability from financial losses resulting from wrongful acts whether is an actual act or alleged. 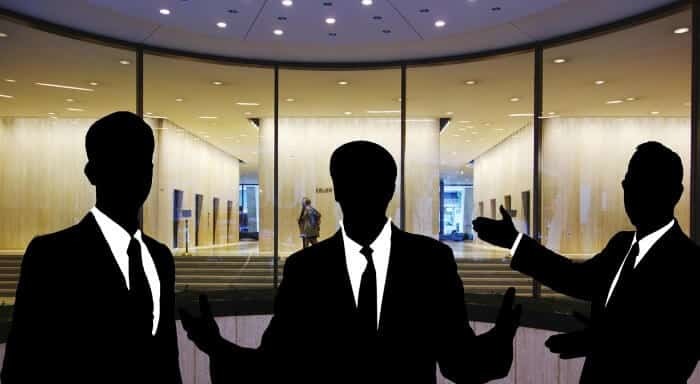 In today’s current climate where the increasing trend is to hold directors and officers personally responsible it is essential to protect yourself as a company’s liability can be limited but the director’s liability is not. QBE’s directors and officers policy provide protection that will financially cover the cost of defending the individuals concerned and the resulting expenses including investigation and extradition costs. In order to provide comprehensive cover to your business, they will get to know your business and tailor a policy to your needs. Some of the features and benefits of LV=’s ownership protection. LV= provides a range of ownership protection insurance that includes shareholder protection, partnership protection and key person protection that covers the life of the insured party. Shareholder and partnership protection cover the business when a shareholder/partner dies, diagnosed with a terminal illness or is critically ill. These policies provide protection so that the surviving partner/shareholders can buy out the shares of the person affected giving the business stability and continuity as well as providing for the family as they will receive the money from the purchase of the shares. The policy will need to be written into a trust where the other owners are the beneficiaries. Some of the features and benefits of NFU Mutual’s ownership protection. NFU Mutual provides its ownership protection products in partnership with AIG. These products include shareholder protection, partnership protection and key person cover which all give a financial payout to the business if the person insured dies or becomes critically ill (depending on the cover). NFU’s shareholder and partnership protection policies provide cover to help businesses to continue without one of the owners and gives the remaining owner/s the funding to purchase the deceased or ill person’s share. Key person cover gives a financial payout if the insured person dies or is critically ill so that the business can mitigate the costs of losing the key person. Some of the features and benefits of Legal & General’s ownership protection. Legal & General provides a range of insurance cover to protect business owners. Their ownership protection products cover share protection for partners, directors and limited liability partnership. They also provide key person protection and business loan protection. Legal & General’s business protection products can provide term assurance and whole of life protection that offers financial support when businesses need it the most. Share protection enables the remaining owners to purchase the shares of the individual that has died or critically ill if selected. Key person protection and business loan protection provide cover that will help protect the business from financial loss. Some of the features and benefits of Markel direct’s ownership protection. Markel direct provides ownership protection insurance that covers directors and officers’ liability to limited companies where the directors and officers themselves are not protected by the company being limited. Their cover provides financial support in the event of any wrongful acts that are committed, and where the directors or officers are held liable. It also helps businesses to meet regulatory requirements where the cover is needed. Markel direct’s directors and officers policy will cover the legal costs, expenses and any investigations that are needed. The policy covers a range of litigation circumstances which include investors and shareholders claims, liquidation, HMRC investigations, HSE investigations, police and serious fraud investigations. Some of the features and benefits of Travelers’ ownership protection. Travelers’ ownership protection products provide two flexible types of cover which are directors and officers liability insurance and management liability insurance. These products provide protection to company directors, officers and senior managers to help them lead a business with confidence and peace of mind that they are protected. Travelers’ two products offer protection against claims from shareholders, employees and third parties that result from wrongful acts by directors, officers and senior managers and cover the costs of defence, settlements and judgements. These wrongful acts include any regulatory investigations, breach of trust, breach of duty, neglect or error. Some of the features and benefits of CNA Hardy’s ownership protection. CNA Hardy provides a range of management liability insurance that protects owners from litigation costs. They offer both directors and officers liability and employment practices liability to most businesses as it is available to public, private, not-for-profit and charitable organisations. CNA Hardy’s management liability products are designed to protect the financial wellbeing of both the businesses and their directors with each policy type providing different types of cover that benefit the business or the directors. Their policies cover claims from investors, creditors, other third parties and employees. It covers regulatory investigations, health and safety investigations and employee disputes. Some of the features and benefits of Vitality’s ownership protection. Vitality offers business owners protection in the form of shareholder and partnership protection cover which protects the remaining partner or shareholders if one of them dies or is severely ill and unable to continue in their role. In these circumstances, the family of the deceased or ill may need to sell the share of the business which is why this cover is required as it provides a lump sum to purchase the other share of the business. 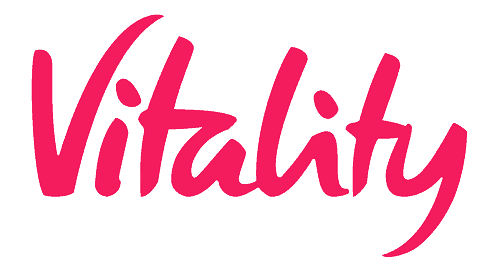 Vitality’s shareholder and partnership protection are designed for businesses that are partnerships, limited partnerships and limited companies. The cover allows the business to stay in control of the surviving owners’ share and gives the business continuity. Some of the features and benefits of Scottish Widows’ ownership protection. Scottish Widows provides a range of ownership protection products that can help businesses to continue with minimal disruption as the result of a death, terminal illness or critical illness of an owner or key person. Scottish Widows’ shareholder protection is available to owners, partners and directors to help them retain control of the business if another owner dies or is seriously ill as the cover provides a lumps sum that will buy out that person’s share. Key person cover gives businesses financial support in the event of losing the insured person and it protects against a loss of profits and helps recruit a replacement. Financial Disclosure: We may be paid a fee if you get a quote via Quote Search using link at the top of this page.